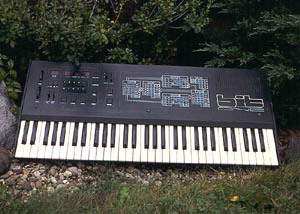 The Bit One was another disguised release by Italian piano and keyboard company Crumar. The unit was well received in 1984 with its velocity response, dual digitally controlled oscillators, and independent envelopes for both VCA and filter. Subsequent releases, the Bit 99 keyboard and the Bit 01 rack expander, further improved MIDI implementation, reliability, and features.